Enjoy condo living at it's finest in this 2 bedroom, 2 full bath unit at sought after Bridgewater Cove. 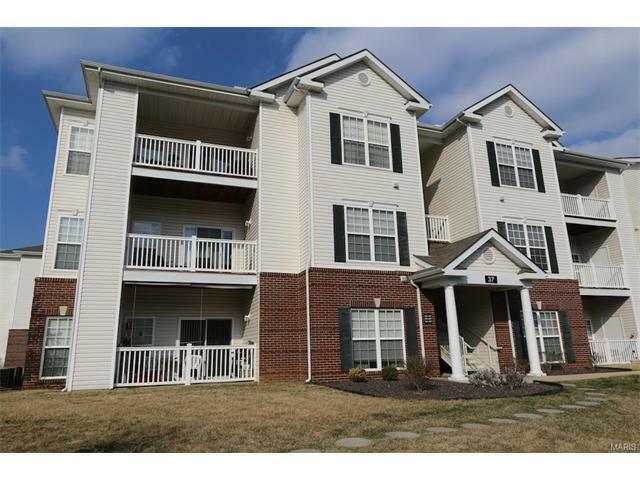 This second floor corner unit has everything you'll need! A modern kitchen with breakfast bar and all the appliances stay. Master bedroom has a walk-in closet and private bath with soak tub. Second bedroom boasts great space and another walk-in closet. In-unit laundry room and the washer and dryer can stay. Private covered deck with overflow storage locker. Entire unit freshly painted. Amenities include a pool, gym, and clubhouse. Freshly painted. Covered parking space included. Conveniently located near highways 270/255 and 55!